EUROPE’S official Eighties Reunion concert is currently taking the UK by storm and it’s heading to Redditch on Friday, November 30. Featuring the music of 25 chart-topping pop stars including: Duran Duran, Human League, Culture Club, Wham!, Madness, Madonna, Spandau Ballet, Cyndi Lauper, Adam Ant, Bananarama, Erasure, Nena, Soft Cell, Toni Basil, Dead or Alive, Kim Wilde plus many, many more live on stage it promises to be a great night out. Featuring an incredible 150 costume changes (so many fashions packed into that decade!) custom-produced dual-screen video projection, more than 35 smash hits, the superb New Romantic Band and the amazing 80s Mania Dancers it’s sure to be a feast for both the eyes and the ears. 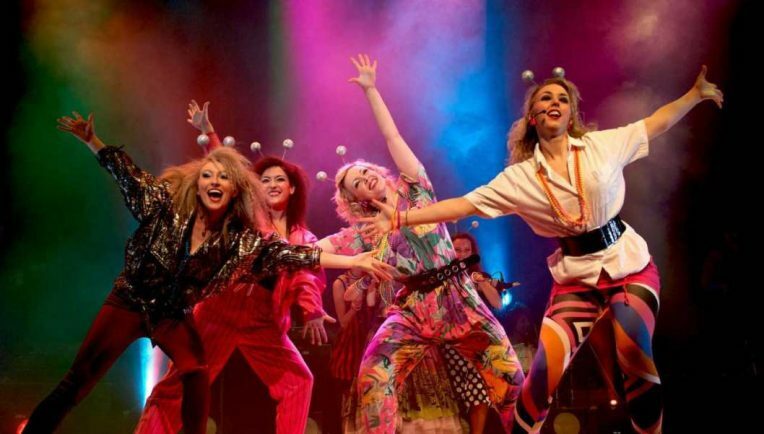 Broader in its range of music than your widest shoulder pads, stiletto-heels-like head and shoulders above the rest, a show bigger than the biggest hair the Eighties had to offer…catch the 80s Mania Christmas Party – it’s sweeping the nation. As 80s Radio 1 DJ Mike Read said: ‘It’s like Live Aid meets Top of the Pops…’ .